Storm Shelter Ventilation: What type of ventilation do storm shelters have? 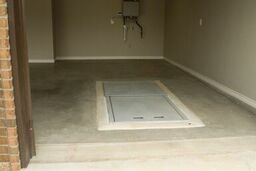 What type of storm shelter ventilation do you have? 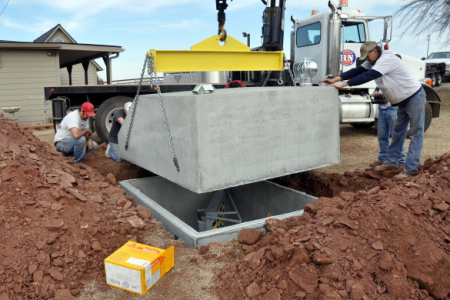 Ground Zero storm shelters' ventilation depends on the model. Our underground garage units have 360 degrees of passive ventilation around the back lid / cover (it is lifted up slightly to provide adequate ventilation). It also has two hand holes that can work as vents as well. The above ground safe rooms have two vent holes cut into the door that allows air to flow easily as well as ventilation around the entire door. 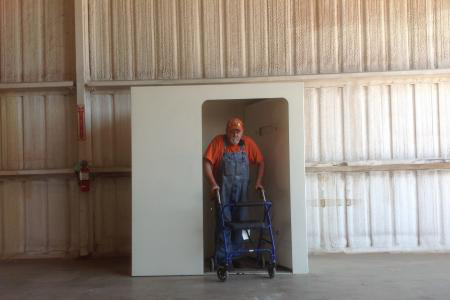 Our outside underground concrete units come with a 6” wind turbine and a 6” vent for storm shelter ventilation.